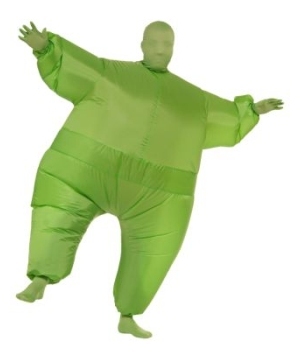 Inflatable costumes make for the most unique novelty outfits for Halloween or costume parties. 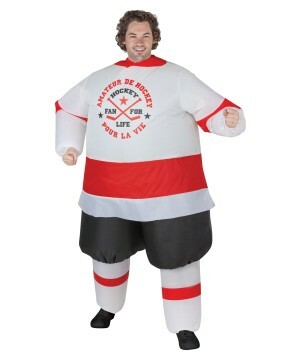 Wear one of our unique air-blown suits any even that call for originality and humor in costumes. 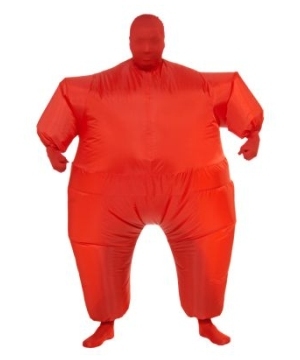 Have fun wearing one of these inflatable outfits at your next event! 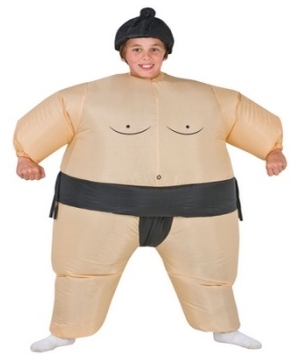 Inflatable costumes are a growing trend but you have to know if they are right for you. 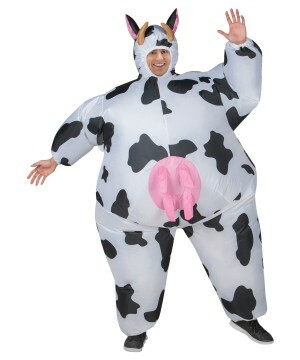 Are you looking for an eye-catching costume to help you stand out in the crowd? 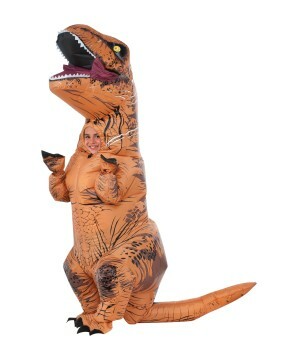 Well, having the biggest costume in the room will certainly help! 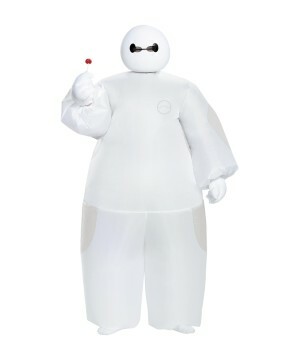 Inflatable costumes are big air bags of fun that let you portray characters you never could before. Wonder Costumes’ stock of inflatable suits includes gag costumes, well known characters, and a slew of big colorful props to accessorize. 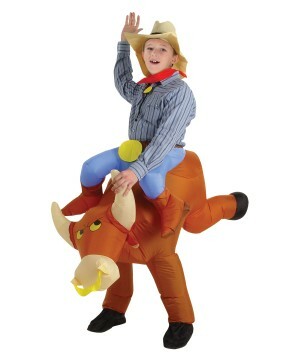 Inflatable costumes allow you to portray characters that would have been anatomically impossible otherwise. 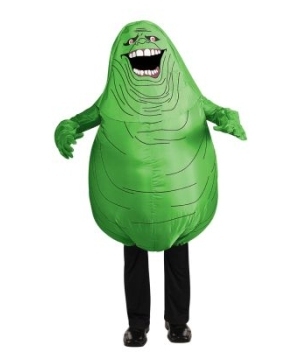 Who would have thought you could be Jabba the Hutt for Halloween? With his big slimy tail and squat face, the Hutt crime lord from Star Wars would be a tricky costume to pull off—unless it was inflatable! That’s not the extent of things! 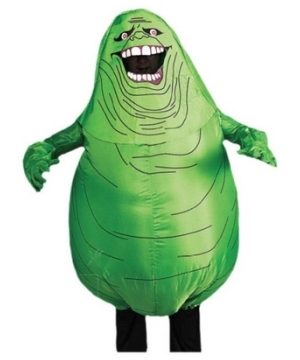 You can be the harbinger of the apocalypse: The Stay Puft Marshmallow man, or even the lesser (but equally as gooey) ghost slimmer with our inflatable Ghostbusters costumes! 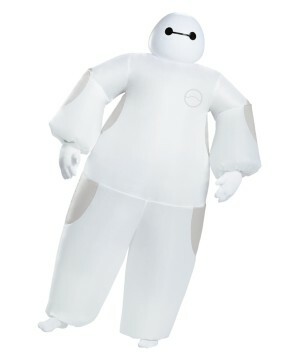 Become the soft and friendly medical robot Baymax from Disney’s Big Hero 6, both with and without his flashy power suit. 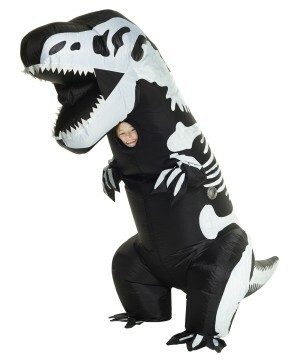 Tower over the competition with something scaly and toothy like our Jurassic World or Godzilla inflatable costumes. Everyone is sure to notice you! 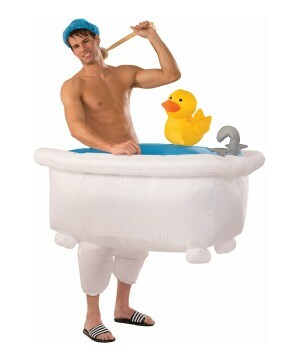 Do you have a costume already but want to add a little extra kick? Pick up an inflatable accessory! 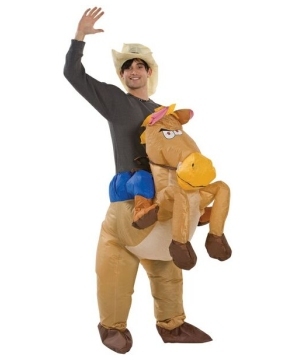 Inflatable accessories are easy to carry around and they make great alternative props to weapons or other controversial items that can complement your inflatable costume. Bop your “Mr. J” on the head with an inflatable version of Harley Quinn’s hammer—perfect for a Batman themed costume party. Make them an offer they can’t refuse with a big inflatable tommy gun to match up with a ‘20s themed costume. Don’t be afraid to get silly! These inflatable costume props allow you to act out skits with your now harmless weapons, crack jokes at parties, or even take your cosplay to the next level at conventions. 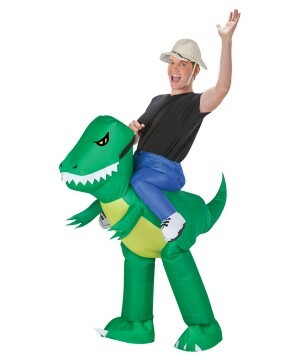 We even have themed inflatable coolers that can also be great for Halloween costume parties! What makes these so special is that they7 float! Set it to float in the pool or on the beach, or just brighten up the party by avoiding boring old box coolers. Are you usually the clown of the group? Pick up a gag gimmick outfit! 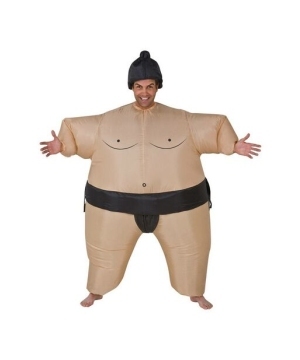 Huge sumo suits that allow you and your friends to hold sumo wrestling tournaments are a blast at parties! 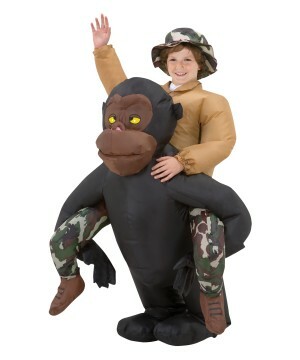 An inflatable cowboy costume with attached horse and legs gives everyone the illusion that you’re a courageous cowboy on a bucking bronco, much like the jungle explorer costumes “piggy back” riding a giant gorilla. Are you a fan of those colorful bodysuits that crop up at Halloween time? 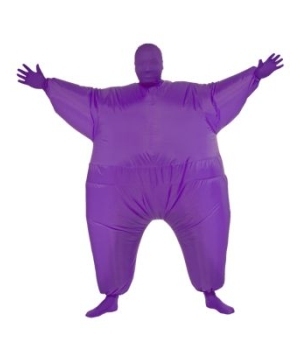 Well, it’s certainly time for an upgrade with our selection of inflatable “invisible” bodysuits that come in all sorts of different colors and patterns, from purple to army camouflage. 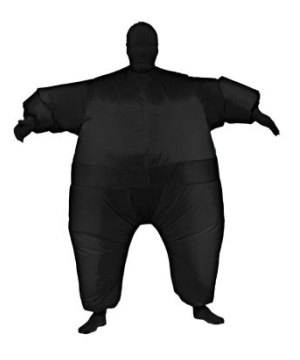 Whether you want to dress up as your favorite character, or want to crack some jokes with a hilarious gag costumes, we have you covered with dozens of different inflatable costumes and accessories! 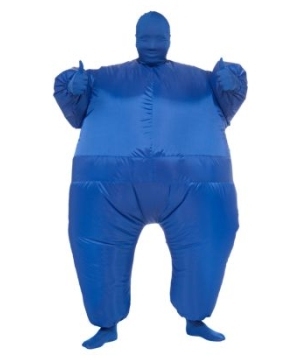 You’ll be the talk of the next party or convention you go to with a huge huggable costume or big inflatable prop—mostly because they’re hard to miss!